Vision for former red zone out today, breathing life into the city and thanks for more than 5,500 ideas! A draft vision for the Ōtākaro Avon River Regeneration Area being released today has been shaped by thousands of ideas from Christchurch people about how the area can be transformed into an attractive and exciting legacy for our community. The draft vision and objectives identify the contribution the 602 hectare Ōtākaro Avon River corridor will make to the future of Christchurch, Canterbury and New Zealand. It will form the foundation for the future of the area. The draft vision and objectives have been informed by public feedback, a community needs survey, 19 workshops with a diverse range of groups, a community profile and more than 5000 ideas from adults and children. How the river connects us with each other, with nature and with new possibilities is the key theme of the draft vision. People can give feedback online about the draft vision and objectives until 2 June 2017. We have listened carefully to what’s important to the people of Christchurch and the draft vision and objectives for the Ōtākaro Avon River regeneration area released today look to express this. We have done our very best to distill your ideas, and the community needs identified through research, into a draft vision and objectives that accurately reflect what is important to you. You told us the environment is fundamental to our identity and you would like to see the area used in new and innovative ways. This forms the basis for the draft vision. The draft vision and objectives will shape and influence decisions about the future of the area that will have an impact on our city for generations to come. We are keen for your feedback, please tell us if we've got it right or not. In the central city we're also taking some exciting steps forward as we prepare to release a draft design concept for feedback in mid-June. At present, we are working closely with private property owners, and continue to work with the Council and Crown. A draft design concept for revitalising Christchurch’s city centre will be available for public viewing and feedback for three weeks from mid-June. This work builds on the Christchurch Central Recovery Plan’s vision and principles for the city. 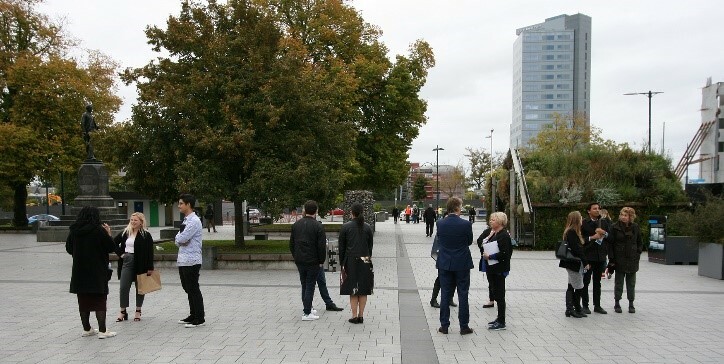 Regenerate Christchurch is working closely with the Crown and Council who are delivering anchor projects in the area, which covers Cathedral Square and the area north to the Town Hall. “We also could not have reached this point without input from the project’s reference group who have provided an invaluable sounding board for exchanging and testing ideas,” says Jim Lunday, General Manager of Strategy and Regeneration Planning. 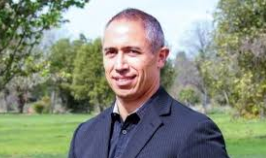 “Group members have a broad cross-section of experience and backgrounds that has brought us a diverse combination of independent perspectives and insights. “They have given us viewpoints informed by a really deep and varied local experience of living and working in Christchurch across a wide spectrum. The Group includes people with expertise in heritage and landscape architecture, elected representatives from Christchurch City Council, people with experience in retail, hospitality, arts and corporate businesses, and those with strong community credentials in fields like education and youth work”. The draft design concept also builds on recent research and engagement activity as well as feedback from Share an Idea, which tells us that people want a vibrant central city and a great experience when they visit. More project details can be viewed on our engagement website. Thanks for more than 5500 ideas! From an Indiana Jones-style playground or pet cemetery, to a venue for gumboot throwing, you've come up with more than 5,500 distinctive ideas for the former red zone. Some of the most frequent ideas included extending or developing new accessible walkways and cycle ways, replanting natives and developing a natural forest, and creating community spaces. You can see the full range of ideas on our website. Children aged five to 12 in seven schools were also asked what they saw as the most important community needs that could be met through the regeneration of the Ōtākaro Avon River Corridor. Six themes emerged: ‘connecting with nature’; ‘caring for myself and others’; ‘fun with water’; ‘fun on the land’; ‘connecting with others’; and ‘learning and earning’. Of these, ‘connecting with nature’ was the most popular. Find out more in documents published on our website today. We want the Ōtākaro Avon River Corridor Regeneration Plan to make a positive contribution to the city’s wellbeing. As a first step, the needs of Christchurch residents were surveyed, east Christchurch communities were researched, and diverse communities were contacted through a series of workshops. More than 900 Christchurch residents plus 322 ex-residential red zone property owners were surveyed earlier this year. 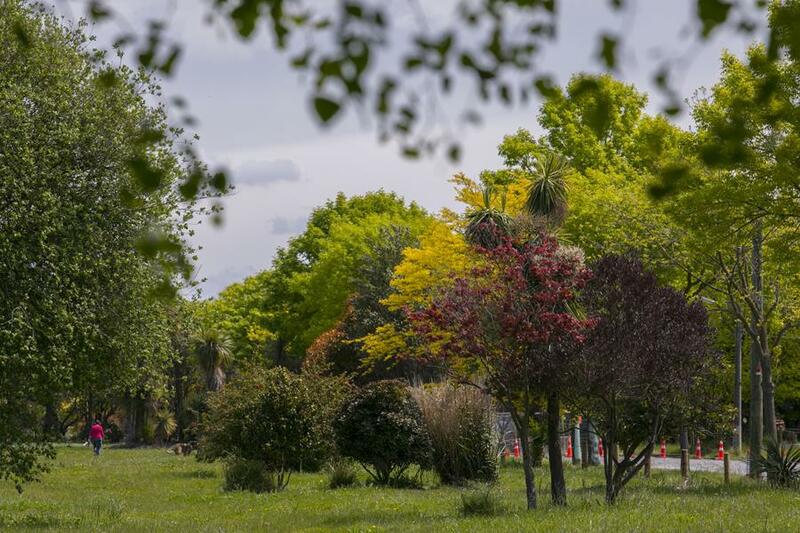 Christchurch residents said the protection and enhancement of the natural environment, with a particular focus on water quality, was essential. Safety was also a significant theme, with residents wanting to see the regenerated areas free from crime, and buildings and infrastructure resilient to hazards. The Community Profile found people living in east Christchurch emphasise proximity to the river, parks and sea as core to their wellbeing and identity. Each community has its own unique culture, history and values and residents remain committed to their lifestyle and sense of place. Workshops with different population groups identified other community needs, including the importance of accessibility in design, building for the future, and considering how design can create spaces that welcome our diverse population. From time to time throughout the Ōtākaro Avon River corridor regeneration planning process we'll have documents available for public comment, currently it is a draft assessment framework. This is all part of our commitment to our engagement principles - principles that include being brave, honest, resourceful, visible and respectful, and promoting equity and accessibility.